Britain’s prime minister David Cameron has made a U-turn in policy, and has announced that the UK will take thousands of unaccompanied children in refugee camps in the EU. 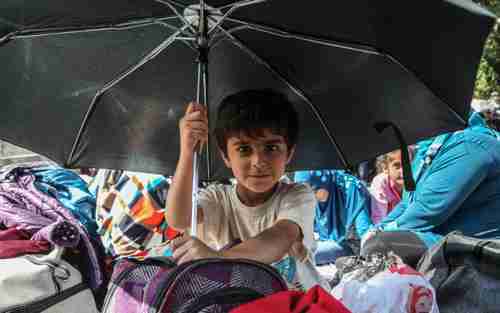 The UK already takes children from refugee camps in Syria and surrounding countries, but under the new policy will also take children who are already in Europe. Cameron has opposed the change of policy because it would encourage more families to entrust their children to human traffickers to take them to Europe. For that reason, Cameron is restricting the policy to children registered in Greece, Italy or France prior to March 20, the date of the EU-Turkey refugee deal. I am also talking to Save the Children to see what we can do more, particularly about children who came here before the EU-Turkey deal was signed. What I don’t want us to do is to take steps that will encourage people to make this dangerous journey because otherwise our actions, however well-meaning they will be, could result in more people dying than more people getting a good life. The EU-Turkey deal requires Turkey to take back all migrants who travel from Turkey to Greece and are not given asylum. This applies to the thousands of migrants who are already in refugee camps in Greece. The deal contains a somewhat bizarre “one-for-one” provision that says that, for each Syrian refugee that Greece returns to Turkey, Turkey will select a Syrian refugee from its refugee camps and send that refugee back to the EU. The plan is that these refugees will be distributed to all 28 EU countries under a quota system. The EU tried a migrant quota system last year that was supposed to relocate 160,000 refugees from Greece and Italy to other EU countries. Only about 1,100 refugees were resettled under this plan because of stiff opposition from Central European countries, including Hungary, Slovakia, the Czech Republic, Poland and Romania. So now the European Commission (EC) is faced with implementing a quota system for the EU-Turkey deal, and their proposal includes a “fairness mechanism” under which each of the 28 member states would be assigned a percentage quota of all asylum seekers in the bloc that it would be expected to handle. The quota would be reflect national population and wealth. It is clear that the same Central European countries are going to oppose the new quota system, and so the EC is going to permit them to opt out for at least a year, provided that they pay a fine of 250,000 euros ($300,000) for each asylum seeker that they refuse to accept. “It is blackmailing. It’s a dead-end street,” according to Hungary’s foreign minister, Peter Szijjarto. 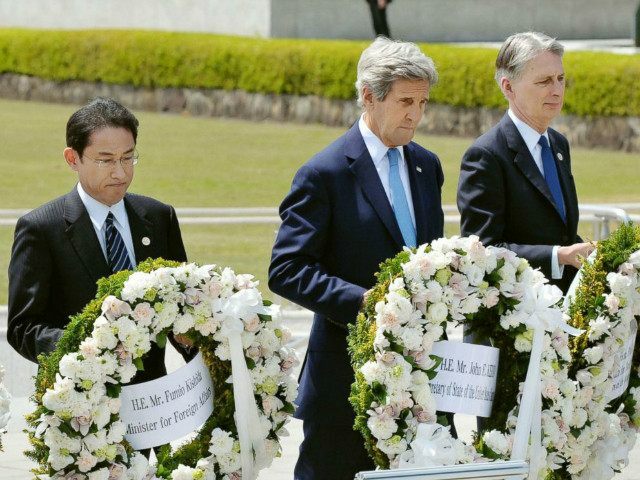 When US Secretary of State John Kerry visited Hiroshima, Japan, last month, he attended a commemoration that laid a wreath at the altar of the Hiroshima Peace Memorial Museum, but specifically refused to apologize for the nuclear bombing of Hiroshima in 1945. However, he left unanswered the question of whether President Obama would apologize when he visits Hiroshima on May 24. Speculation apparently ended on Monday afternoon when Obama’s press secretary Josh Earnest supposedly told reporters that Obama would not apologize. When this report is confirmed, that will be the culmination of a debate which pits the editorial boards of the Washington Post, the New York Times, and other mainstream media newspapers, who are demanding that Obama apologize, against a broad coalition of officials in Asia that oppose any such apology. China’s and North Korea’s policies towards Japan are guided by the narrative that Japan’s actions in WW II were uniquely evil. An American apology would blur that narrative, and suggest that anti-Japanese forces did awful things too. Furthermore, an apology would highlight the fact that, after 70 years, Japan’s liberal democracy respects human rights, while China and North Korea do not. In South Korea, an American apology would revive divisive issues related to collaboration with the Japanese during the colonial period prior to WW II. Japanese conservatives oppose an American apology, because it would be politically divisive, and particularly would help the domestic left-wing, by strengthening the pacifist argument on the futility of the use of force.